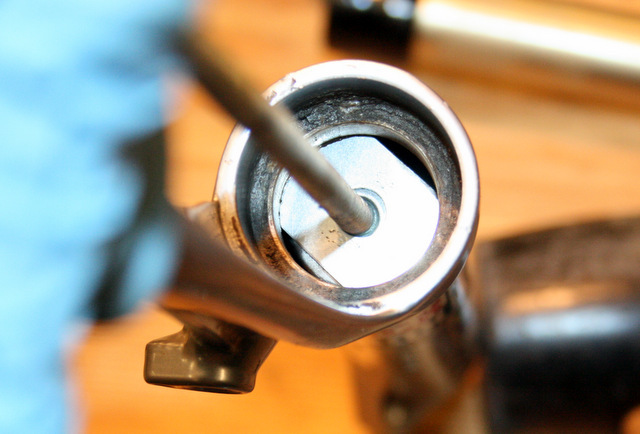 DIY Fork Bushing Removal Tool | HuckingKitty! I measured the inside of the lowers (not the inside of the bushings) and it was about 30.5mm. 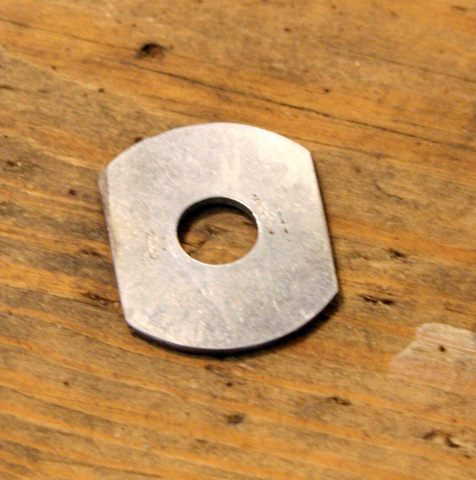 I found a washer that was larger than that, secured the washer to a bolt with a nut, and chucked the bolt into my drill. While spinning the washer I laid it on a coarse file and started shaving down the washer. I'd stop every now and then to see how much more I had to go. 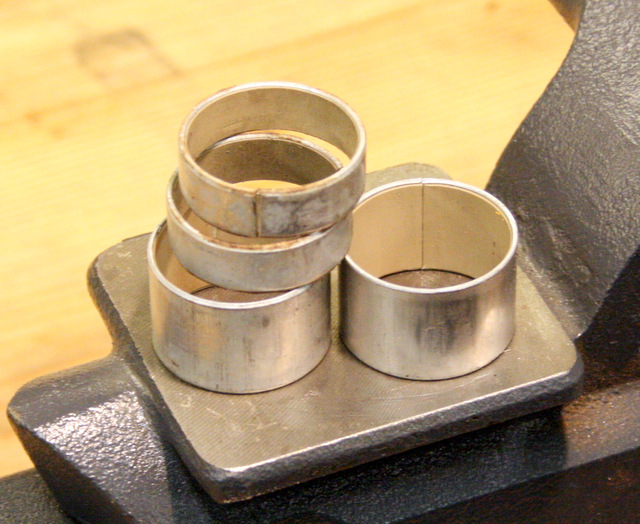 Once I had it down to 30mm, I used my bench grinder to flatten it on each side. Finished by sanding off any burrs. 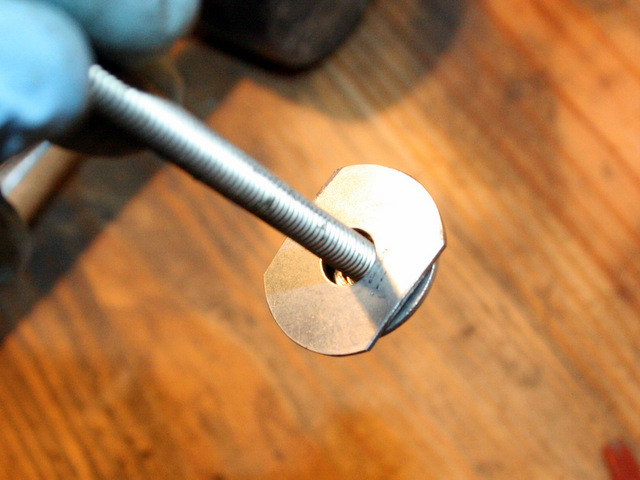 Put it on a long piece of all-thread and put a smaller washer behind it just to add some stiffness. 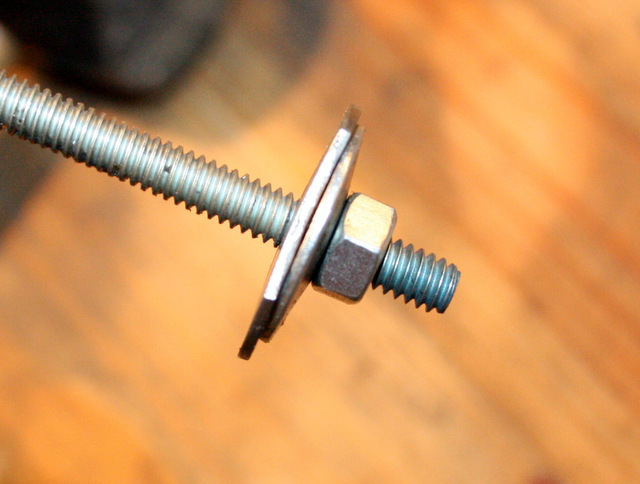 Secure the other end of the all thread into a vice. Tap, tap, tap at the top of the lowers with a rubber mallet. Overall, they came out much easier than I had anticipated. The top bushing was flush with the lip of the lower and I took the measurement of the lower bushing (from the lip) before removing it.